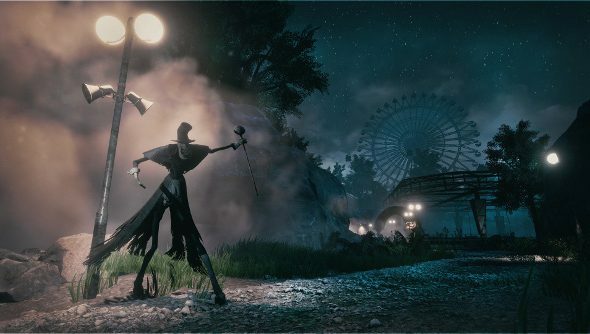 The Park is a new game that’s been circling for a little while from Funcom. The MMO-centric developer has chosen this month to release their single-player, psychological, narrative horror game. It’s a bit of a departure from their usual, but looks pretty interesting in its choice to star a single mother, Lorraine, searching an abandoned amusement park for her lost child. Prefer Funcom’s other work? Here’s our picks for the best MMOs available. Fascinating, and 1-2 hours seems perfect for this sort of game. They’ve picked a good mix of the new – can’t think of many games I’ve played a mother in – and the tropey – abandoned amusement park, lost child and so on. It’s a bit Silent Hill and a bit Telltale, and now it’s all up to the writers, level builders and spook-makers to get it to work. It’s planned to be out before the end of the month, though price point and selling platforms haven’t been announced. Based on the length, I’d expect the £15/$20 mark at the very most, and probably not on Steam due to the new refund program that could clash with. We’ll keep an eye on The Park as it nears release and let you know how it shapes up. Will you be going in?